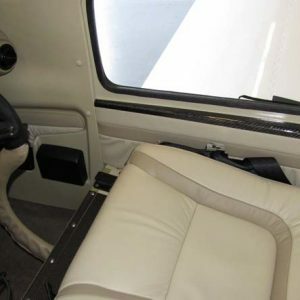 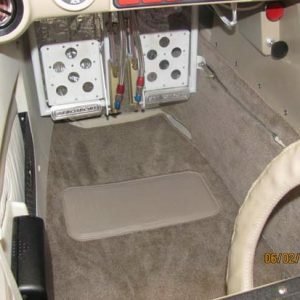 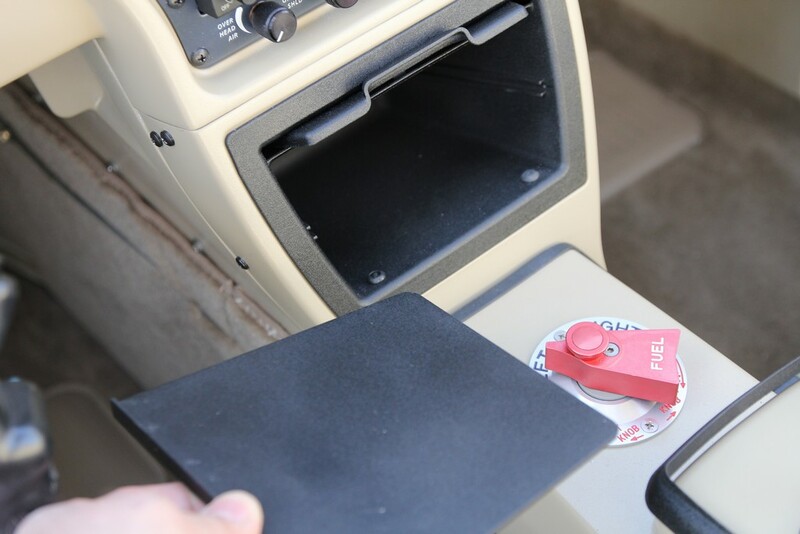 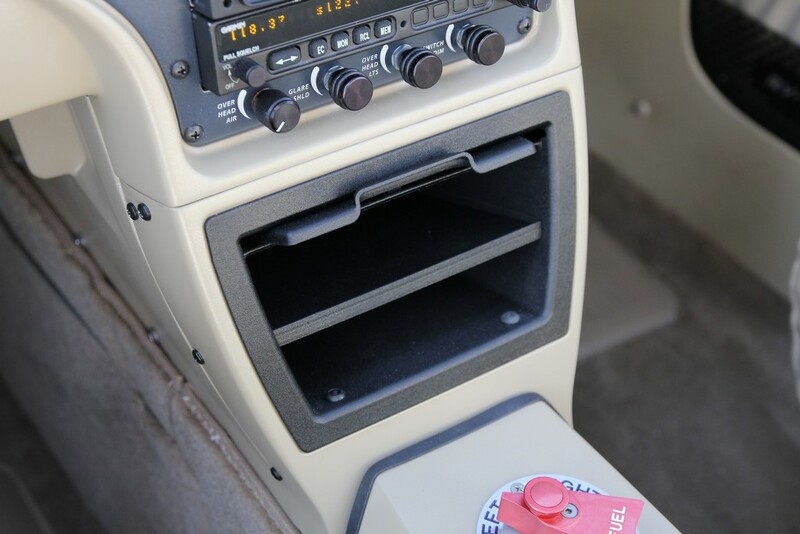 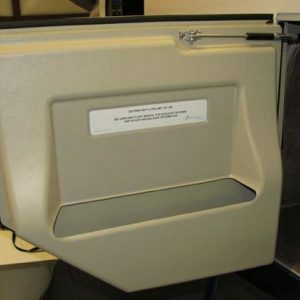 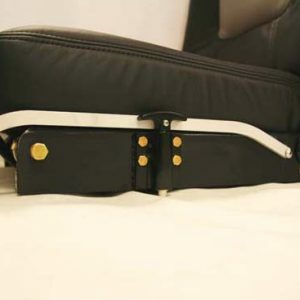 The Aerosport Products lower console storage bin is a great accessory to add to your RV-10. The lower console storage bin offers more storage room in your cockpit for your loose articles. 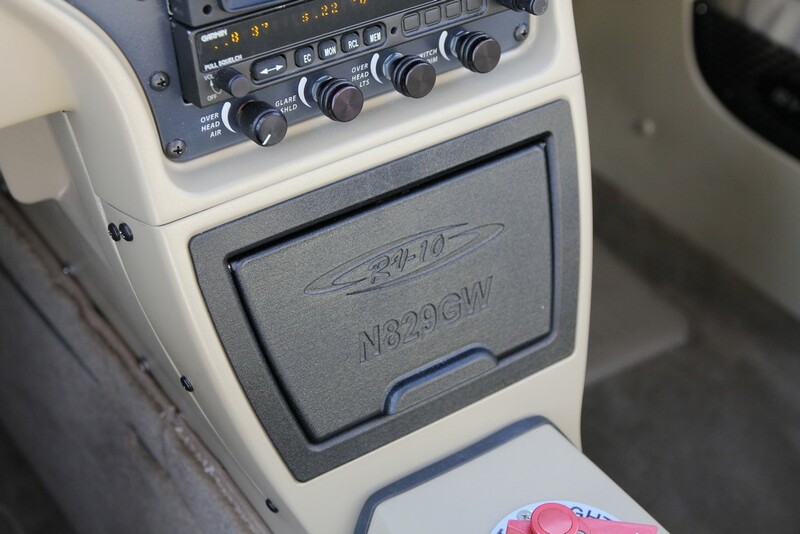 The door of the storage bin comes with the RV-10 logo embossed and your N number can be added for a slight up-charge. If you would like your N number on the door, please make a note when you checkout.